Osteitis pubis treatment and prevention tips, including causes and risk factors, plus short term and long term treatment strategies. Osteitis Pubis is the inflammation of the pubic symphysis; the point where the left and right pubic bones meet at the front of the pelvic girdle. Individuals who are most at risk of Osteitis Pubis are those who participate in running events, especially distance runners. Weight lifters, ice skaters and dancers are also vulnerable to Osteitis Pubis, and people who have recently had prostate or bladder surgery. Osteitis Pubis results in pain in the front of the pelvic girdle due to inflammation of the pubic symphysis. The pubic symphysis is a disc of cartilage located between the left and right pubic bones and can be seen at the bottom of the picture to the right. 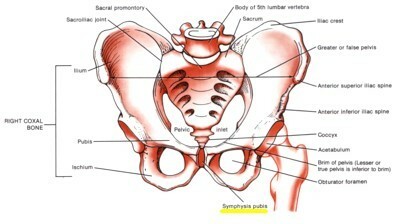 The pubic symphysis is the point where several muscles from the abdomen and groin attach and contract quite vigorously during exercise. These excessive forces pull on the pubic symphysis and cause an inflammatory response. The most common symptoms of Osteitis Pubis are pain and tenderness; this pain can be sharp or dull. The onset of pain is usually gradual, and is most commonly located in the front and center of the pubic bone. However, the pain may radiate into the lower abdomen and also down into the groin and thigh. Osteitis Pubis is predominantly caused by repetitive contraction of the muscles that attach to the pubic bone and the pubic symphysis, and while many things can be attributed to this, they can all be categorized into two main groups: Overload (or training errors); and Biomechanical Inefficiencies. Exercising in worn out or ill fitting shoes. Although it is important to be able to treat Osteitis Pubis, prevention should be your first priority. So what are some of the things you can do to help prevent Osteitis Pubis? Warm Up properly: A good warm up is essential for getting the body ready for any activity. A well-structured warm up will prepare your heart, lungs, muscles, joints and your mind for strenuous activity. Avoid activities that cause pain: This is self-explanatory, but try to be aware of activities that cause pain or discomfort, and either avoid them or modify them. Rest and Recovery: Rest is very important in helping the soft tissues of the body recover from strenuous activity. Be sure to allow adequate recovery time between workouts or training sessions. Stretch and Strengthen: To prevent Osteitis Pubis, it is important that the muscles around the hips and groin be in top condition. 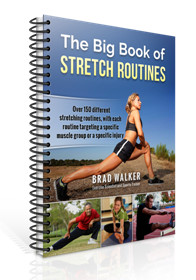 Be sure to work on the strength and flexibility of all the muscle groups in this area. Core strength exercises like abdominal exercises and strengthening exercises using exercise balls (or Swiss balls) will help the most. Footwear: Be aware of the importance of good footwear. A good pair of shoes will help to keep your knees and hips stable, provide adequate cushioning, and support your lower legs, knees and hips during the running or walking motion. The initial treatment for Osteitis Pubis is the same as any other soft tissue injury. This involves the application of R.I.C.E.R. (R) rest, (I) ice, (C) compression, (E) elevation and obtaining a (R) referral for appropriate medical treatment. The following two points are of most importance. Rest & Immobilization: Once Osteitis Pubis is diagnosed it is important that the affected area be rested immediately. 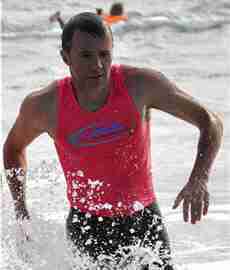 Any further movement or stress will only aggravate the condition and prolong recovery. It is also important to keep the injured area as still as possible. Ice: By far the most important part. The application of ice will have the greatest effect on reducing swelling and pain. Apply ice as soon as possible after the injury has occurred or been diagnosed for at least 48 to 72 hours. Once the initial treatment has helped to reduce most of the inflammation and pain, it is time to move onto the next phase of treatment. This involves applying heat, which will increase the blood supply, and thus increasing the amount of oxygen and nutrients to the injured area. Next, very gentle stretching exercises can be used to lengthen the muscles around the hips and groin. This will help to relieve some of the pressure on the pubic symphysis from tight muscles. Squatting Adductor and Groin Stretch (1:22) Stand with your feet wide apart. Keep one leg straight and toes facing forward while bending the other leg and turning your toes out to the side. Lower your groin towards the ground and rest your hands on the bent knee or the ground. Increase the intensity of this stretch by lowering yourself towards the ground. Hold the stretch position for a minimum of 20 seconds and then repeat with the opposite leg. Sitting Adductor and Groin Stretch (1:00) Sit with the soles of your feet together and bring your feet towards your groin. Hold onto your ankles and push your knee towards the ground with your elbows. Keep your back straight and upright, and use your elbows to regulate the intensity of this stretch. Hold the stretch position for a minimum of 20 seconds. Want more stretches for Osteitis Pubis? R.I.C.E.R. The R.I.C.E.R. regimen and how to apply ice. Warm up properly Warm up properly and reduce the risk of sports injury with these warm up exercises and stretches.